Is it time the robots joined the fray to contain Ebola in Africa? A scientific community-sponsored teleconference to be held on November 7, may very well decide the future of robotics in handling crisis situations. The scientists and aid-workers from across the world will convene on the crucial technology as well as logistical issue – is it high time for the robots to be sent to West Africa, to fight against the contamination threat posed by the Ebola virus? Well, theoretically speaking, robots do have a huge advantage over humans in disease-prone areas, and that pertains to their biology-free ‘anatomy’. But before we put on our science-fiction inspired highfalutin hats, the robots in question here will serve more down-to-earth tasks, instead of flying around and dashingly saving humans from the clutches of the viral enemy. 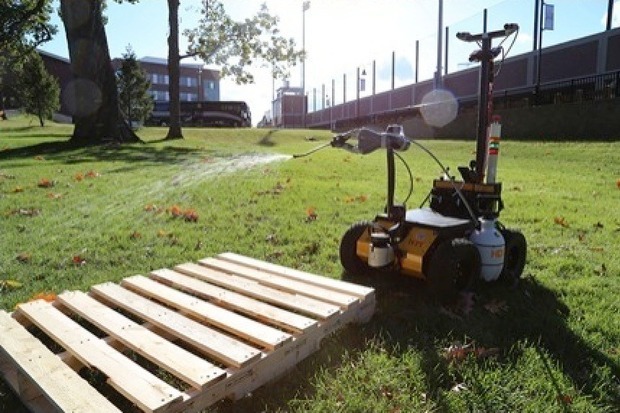 To that end, some researchers like Taskin Padir (who is an assistant robotics professor at Worcester Polytechnic Institute) have thought of a few crucial functions for our robotic allies. For example, wheeled robots can be used to decontaminate a particular zone, by the use of sprayers and other equipment (pictured below). 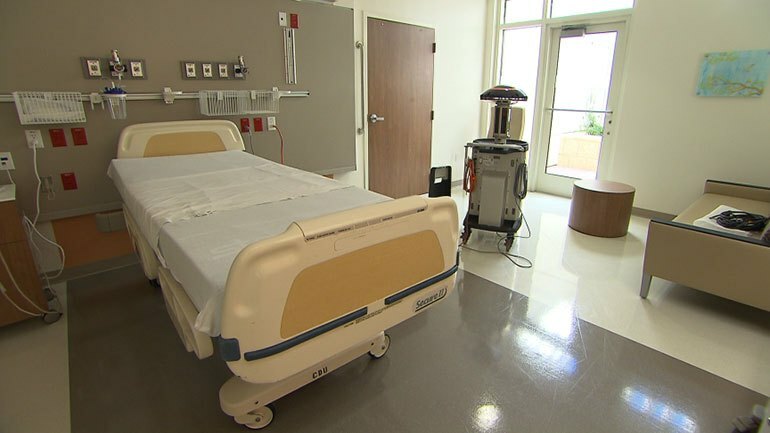 Another handy scenario would involve telecommunication between the health workers and the patients via robots, which would avoid the need for direct human presence. In other words, doctors can remotely communicate with the affected (or quarantined) people – thus significantly limiting the scope of viral contact. Of course, beyond theory, there is the great realm of practicality – and that is where the predicaments would probably arise. For starters, we do not possess enough resources or technology to build newer robot models that are tailored to the Ebola outbreak in West Africa. So, as a ‘makeshift’ solution, scientists and engineers have to ‘hack’ and modify existing robotic designs to make them feasible for the brewing emergency situation. And moreover, there is always the ethical side of affairs that might conflict with the use of robots as disease-controlling mechanisms. Like we mentioned before – robots can come in handy for remote telecommunication systems, but that nullifies the ‘humane’ side of human contact that many patients may crave for. Furthermore, robotic care in such baleful emergency scopes might also stretch to burying contaminated bodies – which once again is in loggerheads with traditional religious customs (as mentioned by Robin Murphy, professor at Texas A&M). All of these potential problems obviously do not mean that robots can’t be used in battling scenarios arising from diseases or natural calamities. But the question still remains – in what capacity can they be used for not only Ebola, but also emergency cases that will surely arise in the future of mankind?